Professor Bauer is Associate Dean of Full-Time Programs and Clinical Professor of Finance. He is responsible for admissions, academic affairs and career advice for the full-time MBA, MS in Finance, MS in Accounting, MS in Business Analytics and MS in Marketing Analytics programs. Bauer has taught at the Simon School since 1996. He is a four-time winner of the Superior Teaching Award from the Simon MBA program and a multiple winner of awards from the Executive MBA program. In addition to teaching Macroeconomics, International Finance, and Capital Markets courses at the Rochester campus, he has developed courses on international financial markets for executive students in India. He is on the Steering Committee for the school’s MS in Wealth Management program, and has delivered the program’s Financial Markets and Investment Management course in Switzerland and Hong Kong. Prior to rejoining the Simon School in a full-time capacity in 2017, he was the Senior Research Director in the Financial Markets Department of the Bank of Canada. 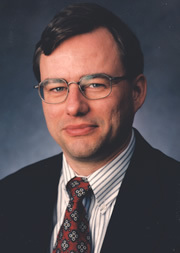 His research has contributed to important public policy debates concerning such topics as: the likelihood of house price corrections; the interaction of monetary and financial stability policies; and, the limitations imposed by international financial market integration on the ability of small, open economies to conduct independent conventional and non-conventional monetary policies. His work received attention in the Canadian press and had an impact on the inflation targeting agreement between the Bank and the Government of Canada. He has published scholarly articles in the Journal of Financial Economics, the Review of Economic Studies, the Journal of Econometrics, the Journal of International Money and Finance, and the International Journal of Central Banking. Bauer received his doctorate from the Wharton School of Business at the University of Pennsylvania. He holds the Chartered Financial Analyst (CFA) designation. His main area of research is international finance. He has published papers in the Review of Economic Studies, the Journal of Financial Economics, the Journal of Econometrics and the Journal of International Money and Finance, as well as in several policy-oriented journals. He is currently working on incorporating macroeconomic factors into term structure models using high frequency data.